Will things ever be-ee the same again? 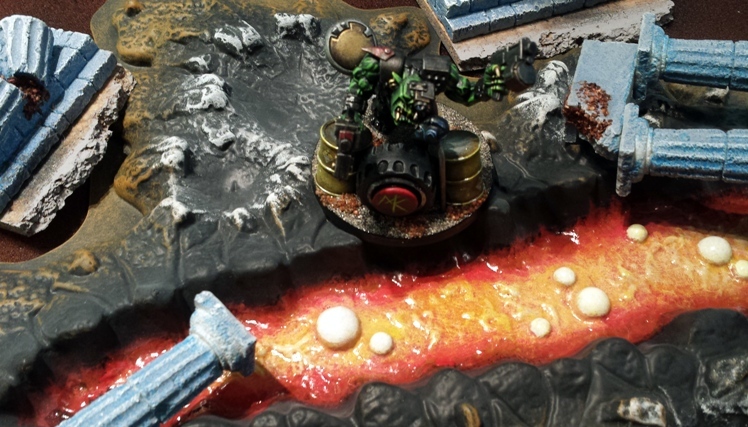 After twice tussling with Inquisitor Verhoeven and his lackeys (documented here and here), Warboss Frangk has finally tracked down the elite Kommando Laserguided Offensive Warhead Division that had been sent to retrieve the Ragna Rock. The good news is that when the survivors were located they still had the Ragna Rock in their possession (although Steev Tylork is still M.I.A.) . Better still, the more technically minded of his K.L.O.W.D. elites have deployed their non-standard issue psychosonic transducers at agreed co-ordinates deep in the jungle, in the ruins of an ancient temple built entirely from local deposits of the mineral “Perilium”. KLOWD member Bongo tests the power siphon apparatus in advance of Frangks arrival. Only Frangk knows the precise rhythmic input required to activate the siphon correctly: to Ragna Rock out, if you will. 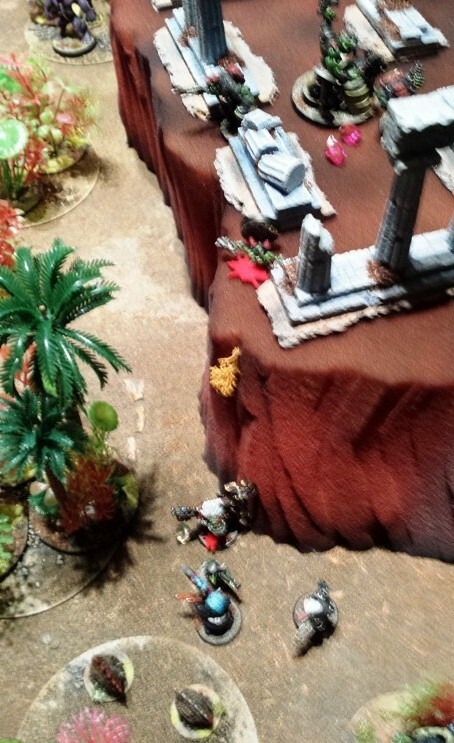 This final game in our campaign used the stock Race Against Time scenario detailed in the Pulp Alley rulebook. 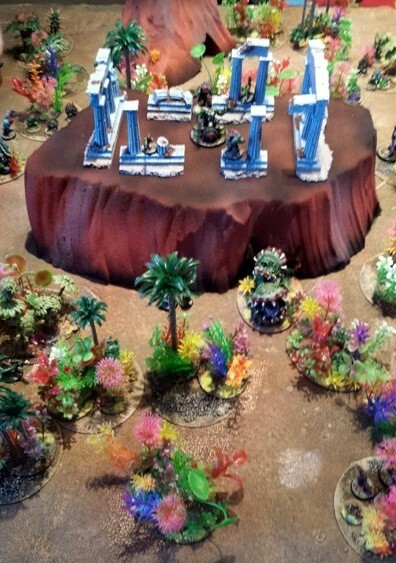 One sides leader (the ambitious Warboss Frangk in this case) – attempts to wrangle a doomsday device in the centre of the battlefield (the labour intensive siphon apparatus and Major Plot Point) while the remainder of both sides fight over the various device sub-assemblies (Plot Points, represented by KLOWD members engrossed in activating their psychosonic transducer equipment). The KLOWD unit rehearse with their arcane and highly technical apparatus. This process takes a minimum of three turns, with the results accumulating to unlock the Victory Points for the Major Plot Point. Only that leader can attempt to complete the MPP in this scenario, although both sides can attempt to gain VPs from the other Plot Points. By the time that the Imperials trace the orks to the ruins, the psychosonic sequencing has already begun, with the Power Siphon output reading at 8.3 Tufnels. With the clouds above his head beginning to spiral, Frangk enters the complex rhythmic code that brings the psych-amp up to level nine. With arcs of green energy coming from the four KLOWD members and pouring through the apparatus, the Power Siphon device and the Ragna Rock itself become ever brighter. An clap of unnatural thunder rumbles through the jungle. 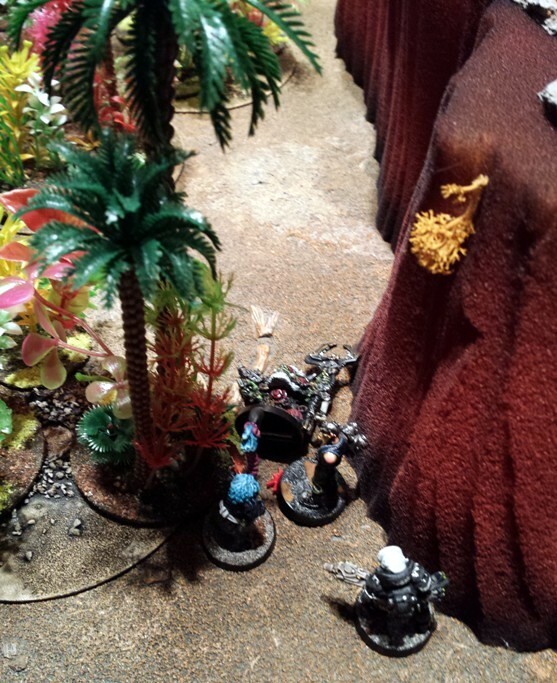 With the enemy sighted to the West, Kim Jong Bono (definitely not relishing further treatment at the hands of Frangks “Docs”) heads directly away from the Inquisitors gunslinger Rosa. 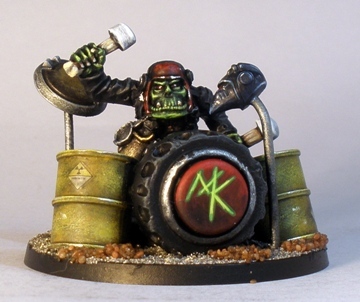 En route he encourages Codename: Moshpit to move East, not easy considering the orks trance like state, glowing green as he draws pure psychic energy through his Jammer and pours it into Frangk. On the other side of the mesa there is a reckoning. Zodgrod is a vindictive, methodical and calculating foe and this time he is ready for Rosa. Shrugging off wounds from her twin custom laspistols he drops her with a sweep of his staff and takes her out of the action with a savage blow to the head. “An’ stay down” he mutters, smugly. 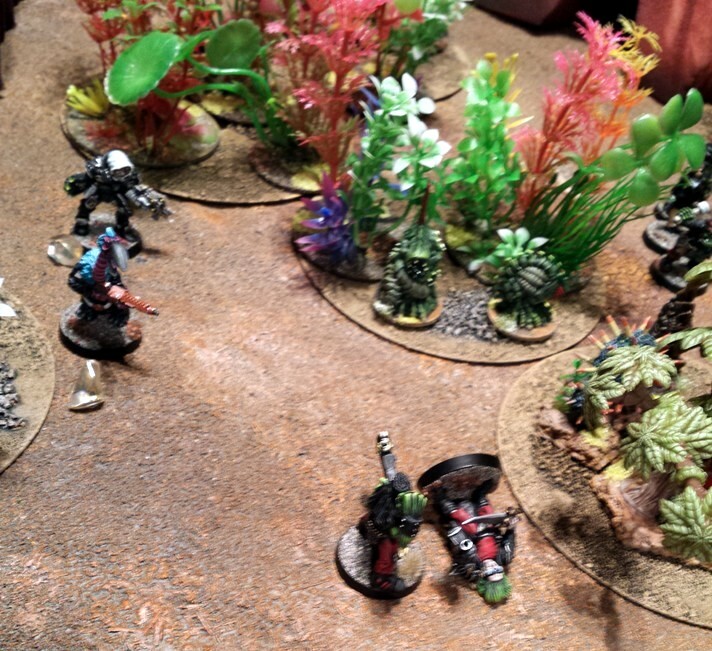 Hard to pin down and distinctly lethal, Rosa was a thorn in the orks side in every game so far. Therefore when Zodgrod had an opportunity to close, he took it. His luck held and after he knocked Rosa to the ground he played “Stay Down” from hand, which was cancelled by the Imperial players “Misfortune” card. 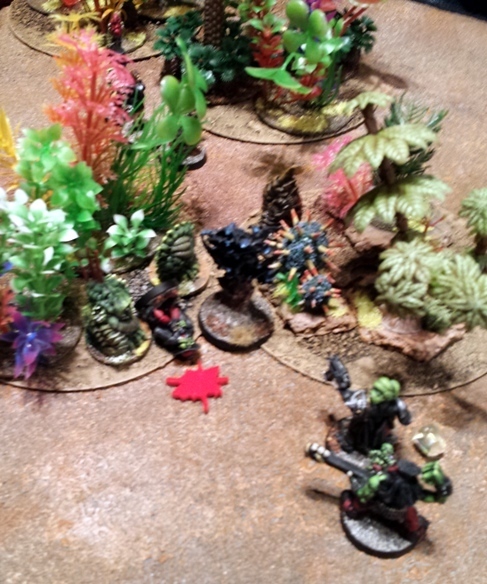 The orks players second “Stay Down” card decisively removed Rosa from the game. The earth shakes, disrupting pict records. 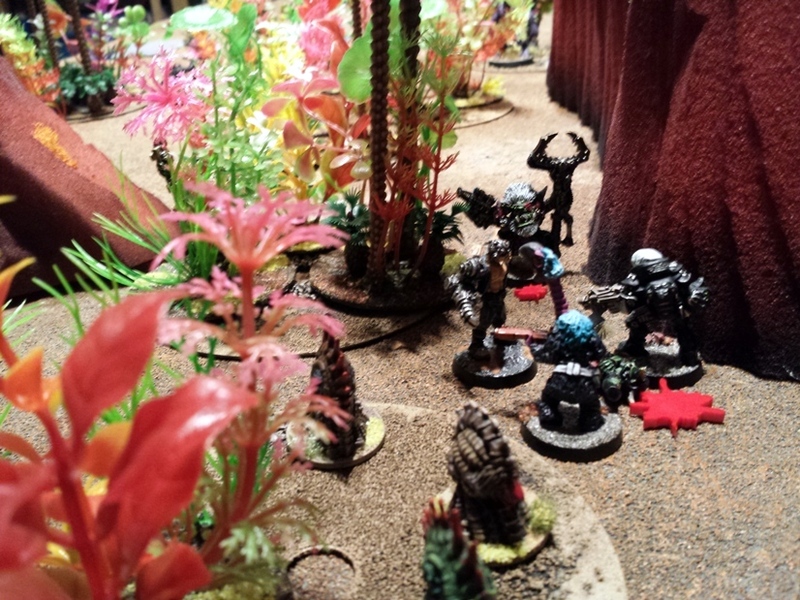 Verhoeven redploys and closes with the bloodstained Zodgrod to reinforce the flank that had been assigned to Rosa, taking two-gun Tony Harrisson on the mesa out with a hipshot from his custom Tau carbine. 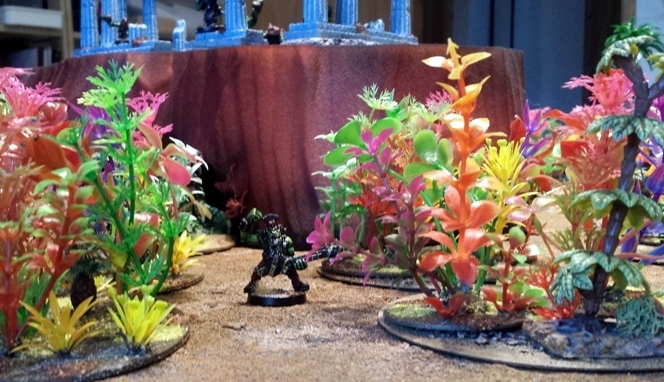 …but the humid jungle of Krellborn IX is no place to be alone, particularly if one happens to taste like chicken. 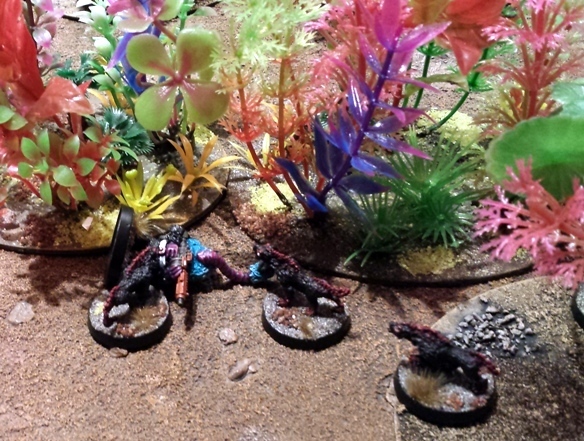 A pack of Death Ferrets, riled up from the psychic energy bleed in the area, emerge unexpected from the undergrowth to pull the Feathren down to a grisly demise. 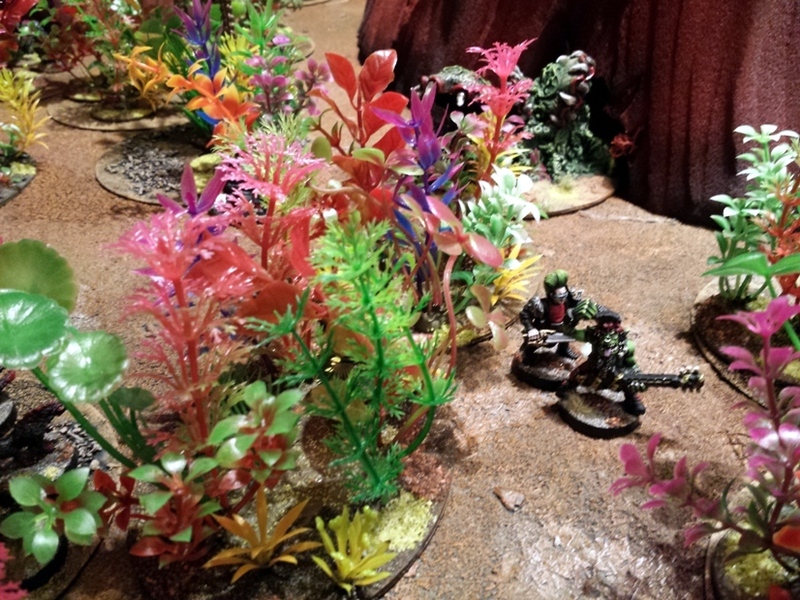 The battlefield becomes momentarily solemn as the hellish sound of a bird man being devoured by homicidal extra-terrestrial weasels sweeps through the jungle, causing the Imperials to momentarily pause in the kicking to death of a gretchin. 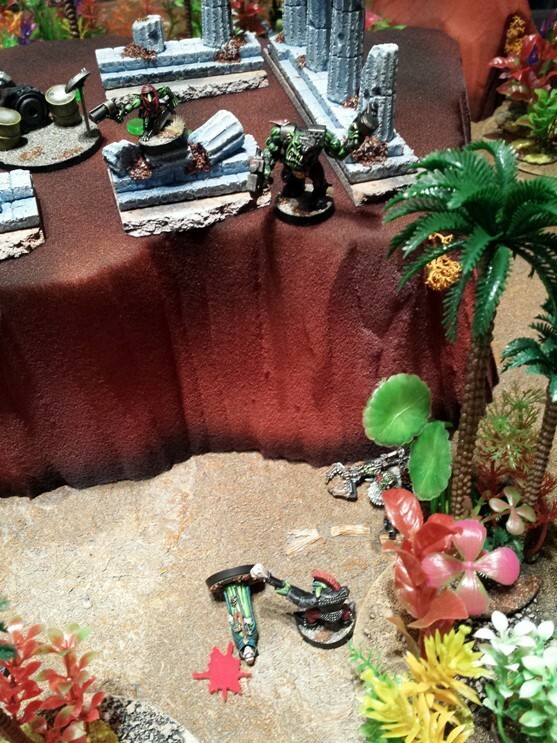 Zodgrod knuckles away a streak of blood running from his nose and beckons: “You cant go ’round me Inquisitor. Come an’ get it, if you think your hard enough”. Controlling all of that raw power is a perilous process and green lightning blasts the mesa, incinerating Kronkie and plunging Carrot and Frangk into the fissure blasted into the rock. Frangk claws his way out, sparks sputtering from his bionic bonce and Waaaggh energy glowing behind his eyes. Today is Frangks day: he will not be denied. The combined attentions of the combat servitor, a Feathren and the indomitable Inquisitor prove enough to finally take Zodgrod out. But has he has held the path between the perilous jungle and the edge of the steep mesa long enough for Frangks masterplan to succeed? 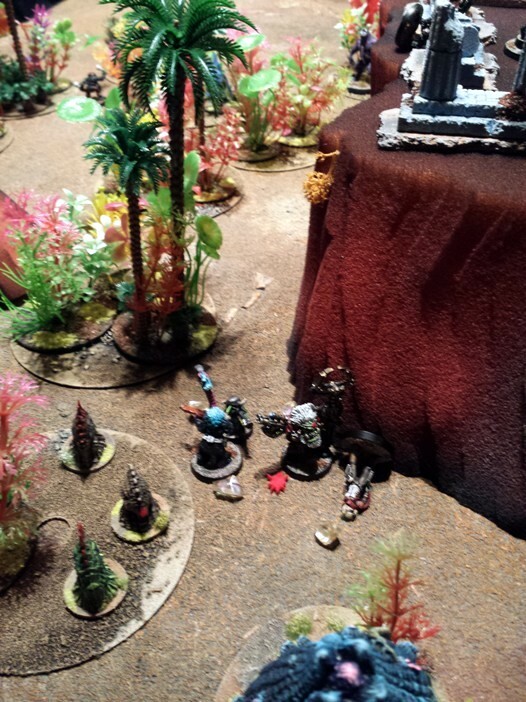 Off camera Pat the Astropath has managed to take control of one of the stupefied KLOWD, disrupting the Warboss power accumulation. Agent C has done similar and the race to the final KLOWD member is on, with the outcome hanging in the balance. Bono is knocked off his feet , but manages to regain his El-e-va-tion. A fatal mistake. The Astropath, buoyed up by earlier successes but inexperienced in front-line warfare gets unnecessarily close to Frangks location. Frangk – eyes glowing green with new found eldritch power and obviously destined for great things – overcomes the permanent peril caused by the fissure on the mesa, pounds out the psychosonic code required to bring the Power Siphon up to eleven, storms his way through the gas and heat from the fissure, stands on the edge of the mesa and one-shots Pat, winning the game. 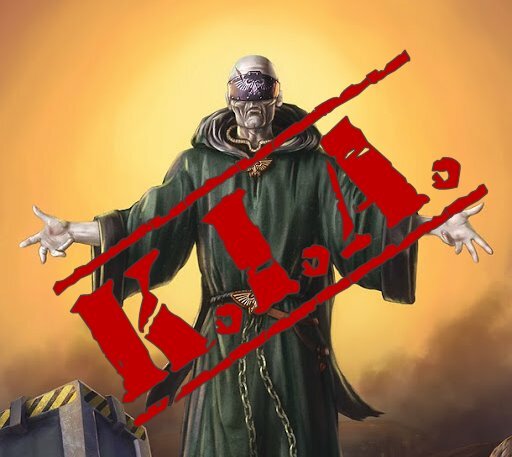 Final Score: Imperials 2 Plot Points, Orks 3 Plot Points. That was very entertaining. The game hinged on very many points, but each of us still felt like we had control over how the game progressed: it felt like just the right amount of randomness. Worth bearing in mind here is that all three of the scenarios that we played are stock, standard Pulp Alley scenarios. Despite this the narrative of the games was simple to read and delivered the over the top storytelling that I am interested in. All this while providing a game system that gives enough choice to make it feel like the results are determined in many respects by the players rather than solely by set-up or dice results. This is not the last Pulp Alley campaign that I will play, thats for sure. Doesnt your planned kaiju project conceptually tie into your Utopia setting Mikko? I thought that they were going to exist in the same universe? You raise an interesting point. 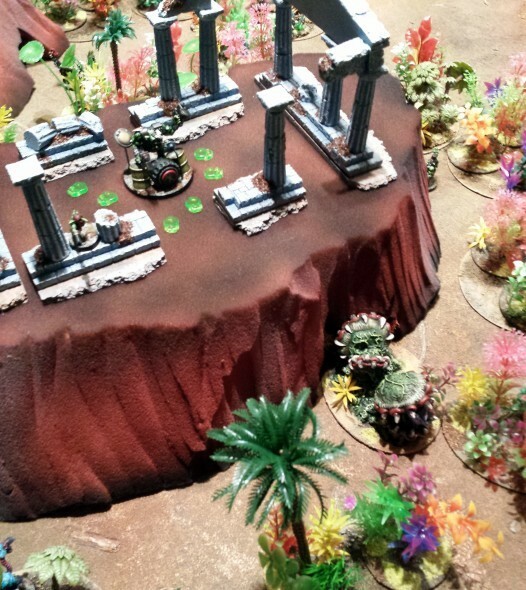 Kaiju fights are all about terrain destruction and over-the-top attacks, rather than scrabbling around trying to transfer Item A to Location B or convince NPC 1 to accompany PC 3 to the table edge. Or at least I think that kaiju should be braining each other rather than negotiating/baggage reclaim. I like my mechanised negotiating to be restricted to the bridges of starships thanks. The kaiju project will be a separate one, set right here on our own green Earth. With the project I’m attempting to add more depth by making the scenarios a bit more varied, but there’s only so much you can do. I am looking to increase the role-playing part, though, so there will be more mecha pilot drama in between the actual slugfests. 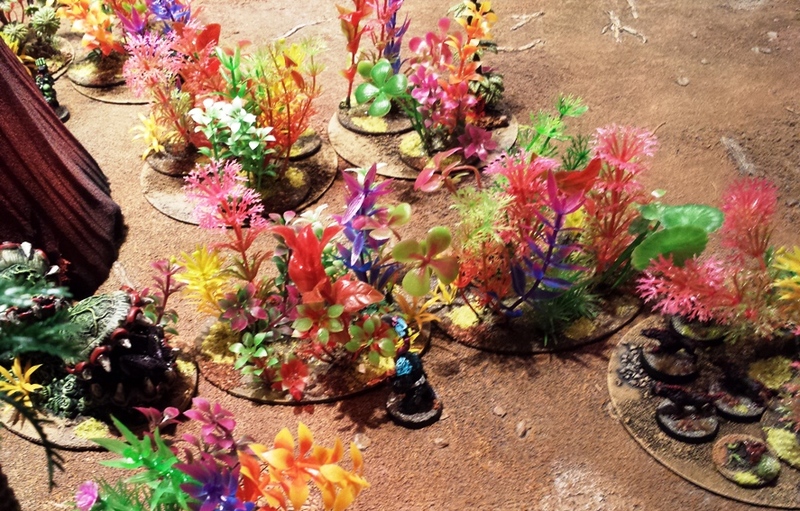 Technically its possible to simply play a kaiju game the same way that you might play any other sci-fi miniatures game, with the usual scenario types. Something about that doesnt feel quite right to me, but I am not quite sure why. I am watching your kaiju project develop with a lot of interest. I am slightly disappointed that some squad member in your Utopia campaign wont take an occasional swig from a hip flask with shaky hands and tell about the time that Ultrazog crushed his native dystopian city beneath its nine tails. I also figured that at least one member of the squad would have an old flame that went career mecha-pilot, with all of the melodrama/bionic refits that entails. Tremendous. You seem to have latched onto a winner with the Pulp Alley rules. We had a laugh with PA, but its because of the tidiness and uniformity of the rules allowing us to simply get on with the game and narrative rather than referencing and debating. Endless Rock-Paper-Scissors with special rules interpretations does have a weird appeal as long as you keep fully up to date, but games systems like that become a full time job. 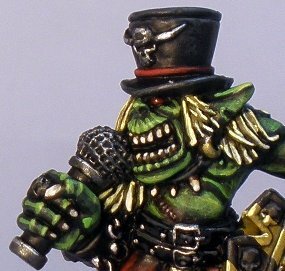 I dont have the patience or interest to pin my flag to something as needy as modern 40K/Malifaux/Infinity/War Machine etc. No disrespect to anyone who does – horses for courses and all that – but its not for me. What PA does allow me to do is paint cool figures without having to care whether the weapon loadout carried is optimal for the meta environment and still get on with a straightforward game that remains engaging. I know that I am gushing a bit and some of the drawbacks of the system will inevitably take some of the shine off the ruleset as time passes, but right now I cant think of another system that delivers the way PA has. The fact that it can be applied to all kinds of settings was not lost on me. A system that can jump from a bar room brawl to a Nazi moon base assault ticks a few boxes for me. Yeah, that ability to crossover settings is a huge deal for me too. I think that its just that I enjoy reading/watching/gaming certain types of stories: pulpy, heroic, fairy tale sorts of stories. I do wonder if in the long term Pulp Alleys generic nature could be its eventual failing too, but I dont want to jinx it. I will cross that rope/suspension/hardlight/interstellar sub-light bridge when I come to it. this is awesome! I found PA recently and have been playing here and there with a colleague from work. We are now neck deep in a 6mm Future War Commander campaign (which has similarly generic rules for weapons/hits etc) and will probably be adding some 28mm PA action soon. Im glad that you like it Stephen, thanks for the feedbackj. Pulp Alley is a great system.